The Purple Heart Museum in New Windsor. NEW WINDSOR—Governor Andrew M. Cuomo announced on Nov. 12 that a $10-million expansion of the National Purple Heart Hall of Honor in New Windsor is planned. The expansion is geared at further recognizing and paying tribute to those who have been awarded the Purple Heart, America’s oldest military decoration. The expansion will include a new wing with enhanced and interactive exhibits and galleries, improved pedestrian circulation throughout the hall, public gathering space, increased programming, a redesigned entrance, improved accessibility, native landscaping, more convenient parking and several walkway improvements. The Hall of Honor is the first in the nation dedicated to commemorating the sacrifices of the estimated 1.8 million recipients of this award. The new expansion will allow the Hall of Honor to collect, preserve and share more stories of Purple Heart recipients from all branches of service and across all conflicts for which the award has been available. Final designs of the expansion are expected to be complete by next year with construction beginning in 2020. The National Purple Heart Hall of Honor is located on the same grounds that were both occupied during the final months of the American Revolutionary War and later in 1932 when the first Purple Heart medals were awarded to 137 local World War I veterans. The Purple Heart is awarded to those who have been killed or wounded by enemy action. 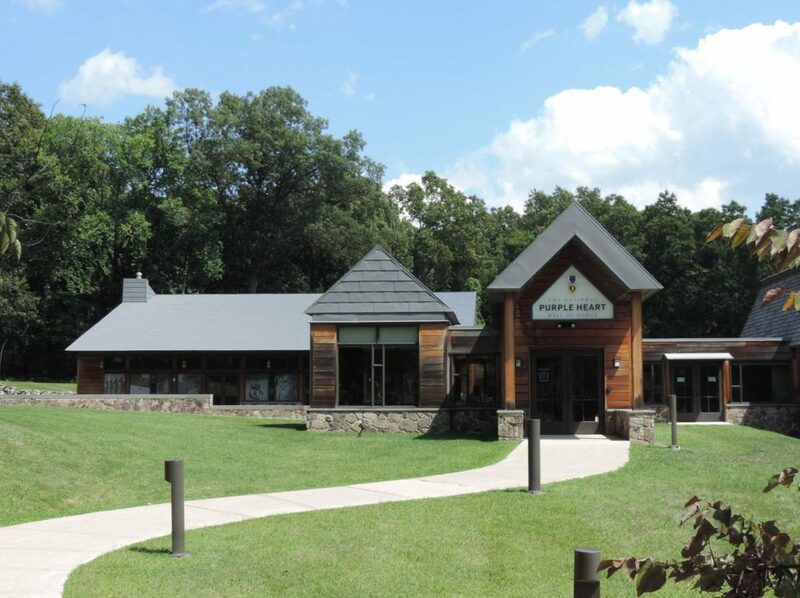 In 2016, through grants and private donations, State Parks completed a $1.4-million upgrade of the existing facilities that included the Roll of Honor, an electronic database where visitors can search for Purple Heart recipients. The Roll of Honor currently contains recipients from all 50 states, Washington D.C., Puerto Rico, Guam, Samoa and the Philippines. The Roll of Honor also contains the names of recipients who have served from the Civil War to today. The existing gallery exhibits begin by taking visitors through a visual timeline of America’s 20th and 21st century conflicts. An interactive touchscreen provides visitors with information on conflicts from the Civil War through Operation Freedom’s Sentinel (Afghanistan) and Operation Inherent Resolve (Iraq, Syria). The interactive exhibit represents the range of conflicts for which the Purple Heart has been available. The main gallery exhibits provide visitors with a more personal history of the Purple Heart through artifacts and in the words of the recipients themselves, including a 10-minute video that provides visitors with a window on the Purple Heart experiences of nine Purple Heart recipients. The Roll of Honor can be viewed through kiosks that visitors can search to view the stories of enrolled Purple Heart recipients.